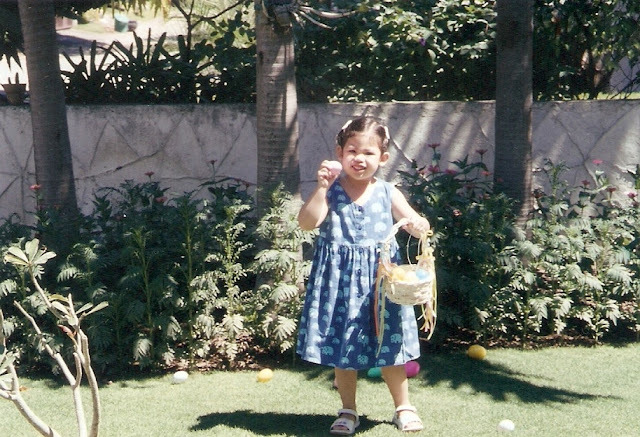 Easter morning always brings back memories of my childhood, living in the province. 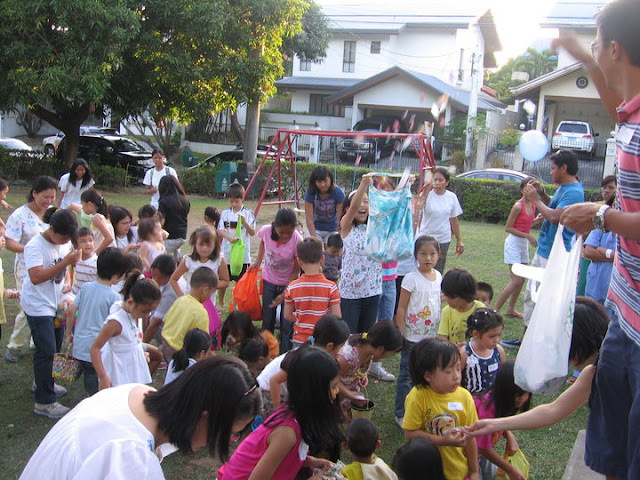 I grew up in a small residential compound near the beach and every Easter morning an egg hunt was prepared for the me and my siblings and the other kids in our neighborhood. Prettily painted hard boiled eggs were hidden in the playground in front of our house where we literally had do a little digging to find them. I wasn't really too keen on finding those cute pink, yellow, and blue eggs because, a little girl can only eat so much hard boiled eggs in one day. I'd much rather have candy. When I became a mom, I wanted to recreate the same experience for my daughter. This time without the hard boiled eggs, but with the now more popular, different colored plastic eggs filled with either candies or small toys. 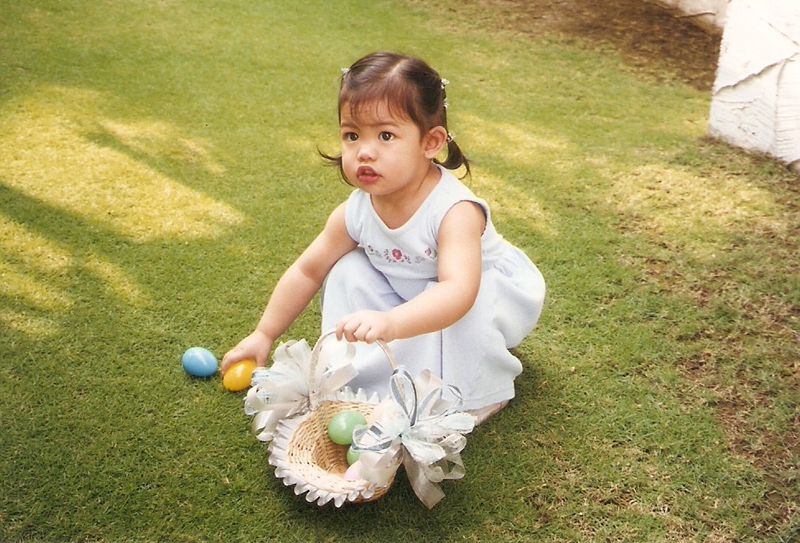 My daughter at two years old, egg hunting in our front yard. I think she did this until she was eleven years old, and then the novelty just seemed to fade away. My little bunny, four years old. Easter 2002. Here she is, eleven years old, at one of her last Easter egg hunts in 2010 with neighbors at the park. She's the girl holding up her bag to catch the candies:) She's turning fifteen in a few months. Where did time go? We were doing some spring cleaning earlier this month and guess what we found in the storage room? All the plastic eggs she's accumulated through the years! Those cute pink and yellow baskets were a gift from her Ninang Les.They're more than ten years old and still in good condition. We also found an old box of craft foam in the storage so, we got a little crafty today. Inserted bamboo sticks in a styrofoam ball.